I’ve been asked a couple of times recently about adding cover art to video files. This process will replace the default icon used, which is a frame from the film, with the DVD cover or any other artwork you want to use. 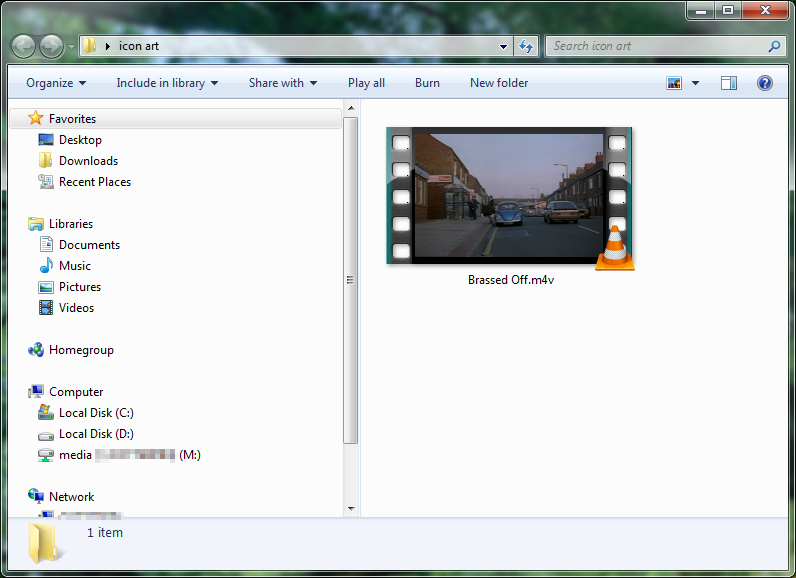 The first step is to get the DVD ripped and encoded as an MP4 or M4V file. The MKV format has become popular lately but, it doesn’t support cover art in meta-data in a way that is useful. Technically it is supported but the process of adding it is long winded and nothing I’ve found can read and display the artwork so it might as well not be there. Mp3Tag, like most tagging applications, works by being pointed at a directory and then listing all the media files it found in that directory. 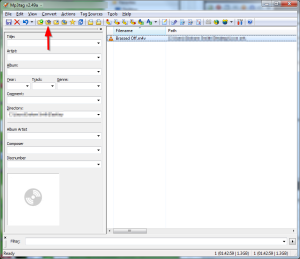 When you first install it you have to select the folder you want it to work on which you do by pressing the indicated Add directory… button. I have just a single film in my working folder by you may have hundreds or even thousands. 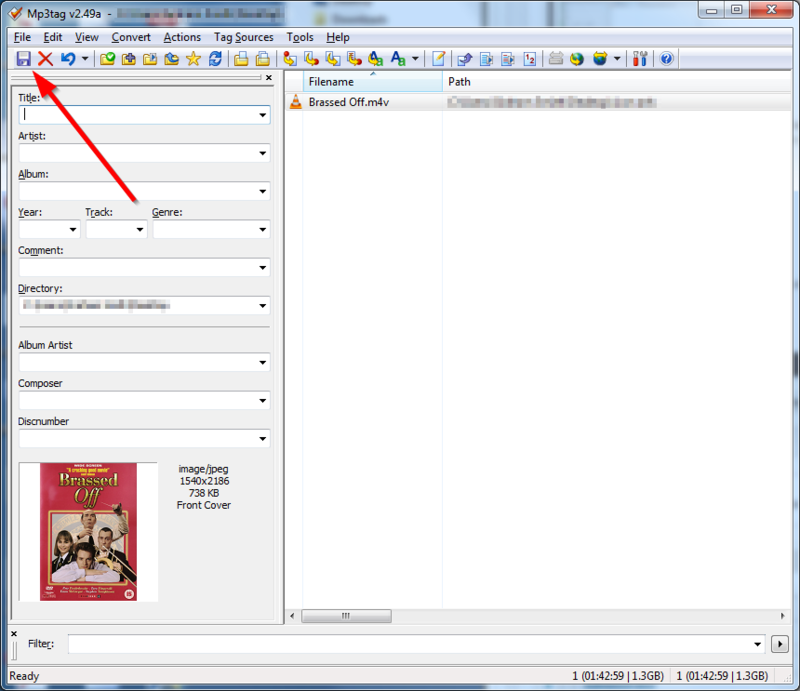 Select the film you want to work on by clicking on it in media selection window (right hand side). Now visit TMDb and search for the film you are adding cover art too. Their selection of films is generally excellent but if you don’t find the film you are searching for you can always add it. You want to download a poster for the film which, at the moment, is a link at the top of the film listing. Select the most appropriate image and download it. 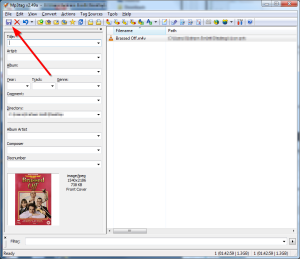 Now go back to Mp3Tag and right click in the cover art window (towards the bottom left) and select Add cover… as shown. 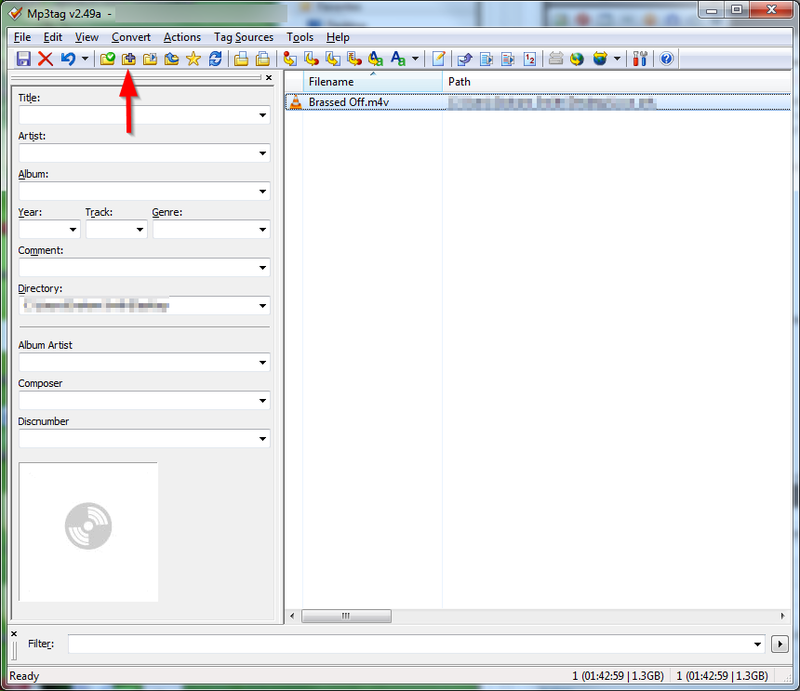 This will open a file selection window that will let you choose the image that you just downloaded, as shown here. Simply double click on the image you want. All that is left to do now is click the save button in the top left of the window. 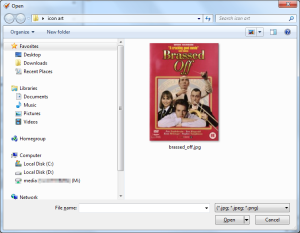 The save operation has to completely re-write the file with the cover art embedded into it. Since video files tend to be quite large this may take a few seconds to a minute or more. 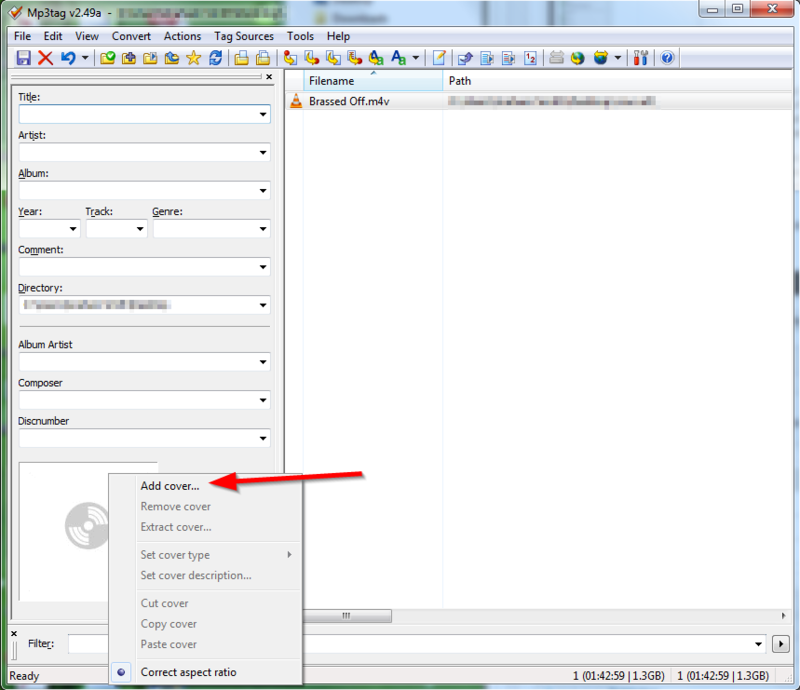 A dialog box will pop up telling you when the job is complete. When you are done delete the images you downloaded and reward yourself with a smug grin and warm sense of satisfaction at a job well done. I wanted to mention that you can also drag and drop images from your browser into MP3Tag, thereby eliminating the need to download them. Thanks a lot! Saves the hassle from downloading. Amazing…..I got one question, is there any Possible way adding the file to a External harddrive and not loose the picture? I tried and works great on laptop.But on Hardrive it goes off.. When I try to save the MP4 video after selecting the cover art, the program responds saying the the name of the video.MP4 cannot be opened for writing. What I am doing incorrectly. how can I see cover art on WIN10?! Apparently since this article was written they have removed this ability. In testing with the latest 2.06 version it does not recognize video file types when searching for them and makes no claim to do so. I am using v2.76 and it adds cover art to mp4 video files just fine. MP3Tag will embed the cover art alright, but the cover art will not show up on most media players, like PS3, even Samsung smart TV, Sony TV, etc. Player will pick up random image from the mp4 video file as cover art.